Inframation Deals Head of Research reveals some of the key trends to watch in the market. In 2018, the lion’s share of capital markets activity, unsurprisingly, resided in brownfield transactions and refinancings - overall, USD 111.61bn in deals closed compared to last year’s USD 69.22bn. This momentum in dealmaking will intersect a flood of capital that is rushing into the North American market. Globally, roughly USD 80bn was raised in unlisted funds last year while a little more than half of that (USD 45bn) was raised in North America - a 40% increase in activity from last year (USD 32.6bn). Activity continues to center around infrastructure funds that are expanding into energy and core-plus sectors, such as telecom businesses. Unique to financing structures among infrastructure deals recently is the use of term-loan B refi’s that have allowed power investors to free up cash for equity distributions and a new solar revenue put that was the catalyst for Ares recent purchase of a solar portfolio. Real estate derived revenues are also becoming a more popular strategy to fund refurbishment and improvement projects for port and airport assets. Delegates will have the opportunity to hear panelists discuss the latest trends in financing transactions, unlocking value from assets, working with LPs on raising capital and other issues of the day. What does the brownfield and M&A pipeline hold for investors over the next year? How are infrastructure players closing transactions in the transportation sector? What strides is the renewable energy industry making? Assessment of leveraged loan market for asset refi’s and acquisitions. Investors anticipate the Canada Infrastructure Bank will be a catalyst for new investment models and partnerships between the public and private sectors. Moreover, the complexity of transactions, greater deployment of usage and revenue-based business models, a new unsolicited proposal approach and innovative financing mechanisms are other tools becoming commonplace in Canadian infrastructure deal making. 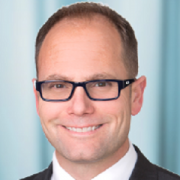 Delegates will have an opportunity to hear Nicholas Hann, head of investments for the Canada Infrastructure Bank, discuss the CIB’s mandate and its utilization of CAD 35bn in federal government capital to leverage new investments in infrastructure. Encourage new models for infrastructure investment and risk transfer? Foster a market that utilizes revenue-risk transactions? Attract the private sector to play a larger role in infrastructure? The environment remains competitive for private infrastructure fund managers as investors continue to increase their allocations to the asset class. LPs in particular are making larger commitments to infrastructure funds so they may gain access to highly coveted co-investment rights. The eternal goal to monetize and improve assets has, as always, prompted project developers to keep close the phone number of distinguished fund managers deploying capital in their respective sector. The flow of funds in North America brings good tidings to LPs and project developers. According to Inframation Deals, 19 funds closed in 2018, outpacing 2017’s 14 closes. New entrants, such as Brookfield’s largest first close of a USD 14bn super core infrastructure fund and Blackstone’s open-ended fund will ensure valuations continue to grow. Delegates will have an opportunity to hear panelists discuss how the fundraising environment is shaping M&A transactions, brownfield development and partnerships. When directly investing in a project, what value proposition do LPs offer developers and operators? Outlook on asset valuations, rates of return, use of leverage, co-investment rights, fund manager selection and governance challenges of open-end vs closed-end funds. How will the competitive landscape change as infra funds specialize, i.e. infrastructure debt funds and renewable funds? With an influx of newer entrants into the market are LPs willing to diversify their GP commitments beyond the name brands and why? Delegates will hear AAPA President & CEO Kurt J. Nagle discuss the current state of American ports and how operators will look to team with the private sector and specifically infrastructure investors in improving seaport assets. • What are port operators looking for in prospective infrastructure investors? • How badly will tariffs and trade restrictions affect the port business? How will government support of port and multimodal infrastructure assets shape investment and M&A dealmaking? In one of the more interesting trends of the last year or two is stakeholders’ ability of unlocking value from an infrastructure asset’s real estate to improve, refurbish and buildout existing assets, such as airports, marine terminals and rail. It has become a critical funding strategy. Presently, airport investors have turned their attention to the potential privatization of the St. Louis Lambert International Airport, as it could possibly become a model to structure future privatizations in the future. Activity has picked up around port assets as well. According to Inframation Deals, 2018 produced eight closed port transactions in North America, which exceeded 2017’s total of five. One of the reasons activity has picked up is vertically integrated port owners are seeking out financial partners to improve operational efficiencies. What port related opportunities will present themselves to infrastructure funds in the foreseeable future? Delegates will hear panelists discuss the usage of real estate as a funding mechanism for improving and refurbishing infrastructure assets. How are infrastructure investors structuring real estate revenue streams to improve various assets? How will portfolio risks be changing as funds wade into real estate? Will US DOT reform the permitting process to make port deals more attractive? Can the same be said of the FAA’s airport privatization program? What of other transportation assets? How are infrastructure investors helping port owners improve operations? How will the ongoing “trade war” among the Chinese, Americans and others affect container shipping and related port revenues? Is there an opportunity for more deals in toll roads in the US? The 13 brownfield telecom deals in 2018 far surpassed 2017’s 5. Fixed lines, wireless transmission, data centers and other types of assets have been in the cross-hairs of infrastructure investors this year and going into next judging from the industry’s pipeline. The impending rollout of 5G technology and consumers’ insatiable appetite for mobile data means there will be plenty of demand for refurbishing and expanding broadband infrastructure. Investors are also busy looking at data centers, fiber optics, cell towers, billboards and the like. Interestingly, the advent of micro data centers and Infrastructure-as-a-Service represent opportunities as demonstrated by Vapor IO’s recent initiative to deploy several kinetic edge data centers across US metro areas. Panelists will discuss the risks and opportunities around telecom assets. What value propositions and resources are telecom companies discovering in partnering with infrastructure investors? How are infra investors structuring brownfield and refi transactions, particularly as offtaker agreements could vary in fiber deals? What opportunities does 5G and micro data centers represent for communication infrastructure investors? Assessment of data centers, fiber optics, cell towers, billboards, etc. The energy infrastructure needed to assuage the oil and gas industry’s Permian and US Gulf of Mexico production will come online in 2019 and into the early 2020s. Opportunities will abound for infrastructure investors. For instance, the developers of liquefaction trains, some operational and some under construction, at Cheniere Energy’s Sabine Pass LNG and Dominion’s Cove Point LNG are embarking on efforts to line up eager financial sponsors. If one also considers FERC’s push to review project applications in a timely manner, dealmaking activity could soar. Aside from mezzanine structures, term-loan B financings, if the market continues its current tear, will be the debt instrument of choice to close transactions, as Global Infrastructure Partners’ decided to do when it acquired EnLink Midstream in July 2018. Also, MLPs and C-Corp midstream asset owners could seek out unconventional growth equity deals, such as wall-crossed and preferred equity offerings, from infra funds. Delegates will have an opportunity to listen to KKR’s head of North American Infrastructure Brandon Freiman answer questions from Kevin Sheridan, Partner at Mayer Brown about opportunities in the Permian and other hot oil and gas plays. How are infrastructure funds competing with private equity firms in acquiring midstream assets? Deal structure – how are infrastructure funds and investors negotiating effective dates, value leakage, target capex, tax issues, etc.? What equity structures are infrastructure funds offering midstream companies, such as wall-crossed, preferred equity, etc? How is debt capital being structured for midstream deals? What midstream assets, fuels and basins are infrastructure investors targeting? Outlook on LNG, especially considering growing Asian and East Europe demand and the creditworthiness of offtakers. Both wind and solar energy have reached critical milestones in becoming more mainstream sources of energy for the North American market. The offshore wind industry has finally alighted upon the US East Coast following European developers' long trek from across the Atlantic Ocean. Just recently EDF Renewables, Ørsted and others submitted bids for a 1.1 GW offshore wind solicitation for off the coast of Atlantic City. Solar too is making strides as brownfield activity within that segment has been consistent within the last several years while a new options contract, a Solar Revenue Put, has hit the market. In November, Ares EIF was able to close its IGS Solar portfolio acquisition with a term loan from ING Capital as stakeholders cited the solar revenue put as a reassurance to enhance returns and reduce risk. The good news for players in both subsectors is that 2018 has seen corporations purchase 7.2GW of clean energy beating last year’s record by nearly 2GW. The buyers are out there. Panelists will discuss the progress offshore wind projects have made on paper in the Northeast. When can the market expect wind generation from offshore turbines? What financing structures are stakeholders using to monetize and trade assets? How has the renewable energy industry overcome and/or addressing challenges, such as intermittency and political challenges? What new technologies are infra and energy players now exploring as wind/solar becomes more efficient and returns diminish? Recently, power investors have increasingly tapped the term-loan B market to refinance their generation and transmission assets, which have come under pressure from torpid power prices and flatlining electricity demand. This market predicament has had a knock-on effect of reducing or eliminating equity distributions thanks to stringent term-loan A covenants, once the favored source of financing for power investors. Yet, what glitters like gold today may lose its luster tomorrow as investors have found the shine coming off TLAs. Now, market observers are expecting investors to grow their utilization of the scorching red-hot TLB market because of its lower cash-sweeps, tighter pricing and looser covenants, which are literally paying dividends. However, what were to happen to the pipeline if a few deals get downgraded or the credit markets undergo tough bouts of volatility? Aside from generating returns from generators, panelists will discuss other opportunities and challenges facing the power business such as creating new revenue streams, technological disruption, net metering and growing operational costs. Outlook on term-loan B market for refi’s, recapitalization of dividends, tighter pricing and lower cash sweeps. When a correction strikes credit markets how will power infrastructure investors and developers maintain returns and ensure operational profitability? How are investors and operators dealing with declining demand for power, shifts in net-metering trends, growing cost of capital and other challenges? Will legislative changes in alternative ratemaking mechanisms put the power industry in a stronger financial position? Are contrarian investors wise to taking positions in coal-fired power plants? Dolly's practice focuses on infrastructure (including public private partnerships and energy) projects, reflecting 20 years of experience working on some of the most significant deals in the sector. Mirchandani represents sponsors, infrastructure funds, commercial banks, institutional lenders, contractors, secondary market investors and governments in the tender and acquisition of greenfield and brownfield infrastructure projects. Mirchandani’s breadth of practice allows her to anticipate concerns, propose solutions and promote agreement. Mirchandani has played a leading role in the introduction of private investment and finance in the infrastructure sector in North America, having advised on multiple, award-winning transactions, including ones that were first-of-their-kind. Robert Valentine has worked exclusively advising clients on infrastructure projects around the world since 2000. In August 2008, Valentine relocated permanently to New York City to further Macquarie’s efforts in infrastructure advisory in the U.S., Canada and Latin America. Valentine has expertise in the toll road, port, airport, parking, water, conventional and renewable energy and social infrastructure sectors over the past fifteen years. Valentine’s particular focus is in project management of complex transactions and raising capital for projects (debt and equity) in a manner which best suits the key stakeholders. 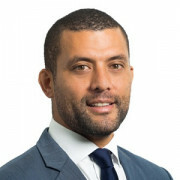 Valentine also leads Macquarie’s US and Canadian sponsor coverage team, managing Macquarie’s relationship with infrastructure and sovereign wealth funds based in the US. 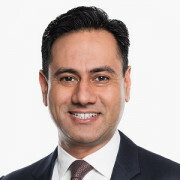 Nasir Khan is responsible for Infrastructure Finance as well as Infrastructure related industry groups including Power and Renewables, Transportation and Social Infrastructure, and Telecommunications. 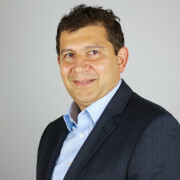 Khan has over 20 years of experience in infrastructure and energy project finance. He previously worked as Managing Director and Head of Infrastructure for the Americas at Bank of Tokyo-Mitsubishi UFJ, where he specialized in business development across lending, advisory, and capital markets, and was awarded numerous Deal of the Year awards. Earlier in his career Khan also held positions at Ports America Group and Citigroup. Dan Seltzer is a Director in MUFG’s Project Finance group where he focuses on leading financing and advisory assignments, primarily for transportation and telecom assets. Before joining MUFG in 2011, Seltzer founded Stonehill Capital Advisors, LLC, a boutique advisory and banking firm in the infrastructure and renewable energy sectors. Prior to starting his own firm, Seltzer spent more than 11 years at Citigroup where in his last role he was one of the founders of the Infrastructure Investment Banking group. Seltzer also served in banking roles in Citi’s Public Sector Group, and TMT banking team. Seltzer began his career as a systems consultant with CGI, formerly American Management Systems. 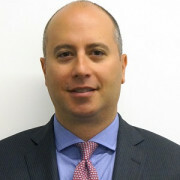 Aaron Gold is a Managing Director and founding member of Argo Infrastructure Partners, an independent investment firm managing over USD 2.1bn and targeting yield-generating, contracted and/or regulated energy infrastructure assets and operations in the US and Canada. Prior to joining Argo in 2013, Gold served as a Principal at Carlyle Infrastructure Partners, The Carlyle Group’s USD 1.1bn global infrastructure fund. In this role, Gold led the team’s efforts to originate, structure and negotiate acquisitions, financings and public-private partnerships in energy (power generation, pipelines, storage/terminals), transportation (seaports, rail, intermodal, parking, roads) and water and waste management. Prior to joining Carlyle, Gold was a Managing Director at Highstar Capital (now Oaktree Infrastructure), an infrastructure private equity firm managing over USD 4.7bn. 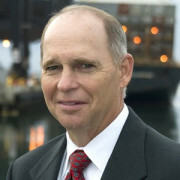 During his over nine years at Highstar, he originated, structured, and negotiated acquisitions, financings and divestitures in energy, transportation (logistics, toll systems, asset-tracking technologies, seaports, airports) and water and waste management investments, principally in North America. Gold also served on several boards, held an interim CFO position at a Highstar portfolio company and led certain internal operational and administrative initiatives. Prior to Highstar, Gold was a Director of Corporate Development at Primedia Corporation’s online subsidiary, About.com. 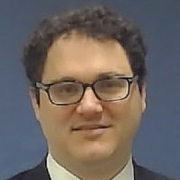 Prior to Primedia, Aaron was an Associate, M&A, at Patricof & Co. Capital and, before that, an Analyst at Bear Stearns. Todd Lapenna is a member of the infrastructure and real assets team. Lapenna is also involved in various investment activities. Prior to joining StepStone, Lapenna was a portfolio manager at CalPERS where he led new investments, strategy and portfolio construction for the infrastructure program. Before that he held various investment and capital markets roles at the Royal Bank of Scotland, CIT, Export Development Canada, and Westcoast Energy. Lapenna has executed numerous debt and equity investments in private market power, renewables, energy, utilities, transportation, water and industrials. Lars Pace is a Principal on Hamilton Lane’s Real Assets Investment Team, where he is responsible for due diligence of primary fund opportunities in infrastructure and real assets. Prior to joining Hamilton Lane in 2010, Pace was a portfolio manager at American Beacon Advisors, Inc., where he oversaw a USD 1bn portfolio of private equity investments. Previously, Pace was a Financial Analyst with American Airlines Inc. and Ford Motor Company. Andreas Moon is a Managing Director and the Head of Investor Relations of I Squared Capital, an independent multi-billion-dollar global infrastructure investment company with over 120 professionals based in Hong Kong, Houston, London, Miami, New Delhi, New York and Singapore. The company specializes in infrastructure investments with over USD 13bn of assets under management in the energy, utilities, transport and telecom sectors in the U.S., Europe and select high-growth economies including China, India and Latin America. Prior to joining I Squared Capital in 2012, Moon spent 11 years at Morgan Stanley. Moon was a former vice president of MSIP. At MSIP, he was responsible for capital raising, co-investments, investor relations and operational fund management. Prior to joining MSIP in 2007, Moon worked in Morgan Stanley’s Global Capital Markets division where he structured and executed over USD 20bn of financing products for global financial institutions and corporate clients. 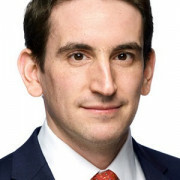 Earlier in his career, Moon worked in Morgan Stanley’s Corporate Treasury group, focusing on the firm’s fixed income portfolio, bank strategy, and asset-liability management. Ulises Flores focuses on origination, screening, due diligence, packaging and management of various alternative products for distribution with an emphasis on real assets including infrastructure, energy, real estate, natural resources and ESG/Impact Investing. 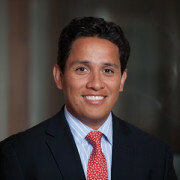 Flores has 21 years of financial services and corporate experience, sixteen of which have been spent at Eaton Partners. Flores has led over 65 capital raises including several notable first time funds and top-offs for established asset managers. Prior to joining Eaton, Flores worked at Servicios Quirurgicos, an exclusive distributor for Tyco Healthcare, a U.S.-based public conglomerate where he oversaw logistic and distribution efforts. Flores began his career at Grupo Alza in their production and operations units overseeing system implementations and production execution. 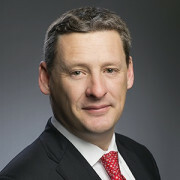 François Bergere, joined the Long-Term Infrastructure Investors Association as Executive Director in September 2018. 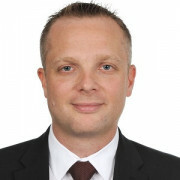 Bergere has a long and diversified professional experience in the fields of public management, project and infrastructure finance, having worked as a senior auditor at the French supreme audit institution, a manager of multinational Equity Investment funds in infrastructure; and in the French ministry of Finance to set-up and manage the PPP task force, before joining the World Bank from 2014 as Program Manager for PPIAF (Public-Private Investment Advisory facility) , a trust-fund aimed at creating an investment-enabling environment for private sector participation in infrastructure. 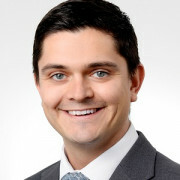 Kent Rowey is a partner in the Projects, Energy & Infrastructure practice and is based in the New York office. Rowey represents investors, credit providers, contractors, public sector entities and other participants in infrastructure transactions across all asset classes. Rowey’s global experience is unique among infrastructure lawyers. Rowey has been involved in major infrastructure financings in the Americas, Europe, the Middle East and Asia, including many first-of-their-kind transactions. Rowey has played a leading role in the development of private finance in the transportation infrastructure sector in North America, having successfully closed many transactions now considered templates for infrastructure finance. Rowey has been involved in the financial closing of more than 100 infrastructure and natural resources transactions worldwide. Aman Randhawa joined QIC’s New York office in 2018 and leads the Transport coverage in North America on both acquisitions and asset management, with particular responsibility for investment origination. Prior to joining QIC, Randhawa has worked in infrastructure investment banking groups at two North American bulge bracket firms, most recently as an executive director. Randhawa has advised on a number of asset M&A (brownfield) and greenfield transactions in North America across several infrastructure sub-sectors. Randhawa is currently a director of MI Longbeach LLC (the project vehicle for the Long Beach Courthouse PPP project) and Masparc & Mobility LLC (the concessionaire at Northeastern University). Jim Wierstra joined IFM Investors in August 2017 and is responsible for advancing IFM Investors’ investment operations in North America, including sourcing investment opportunities, executing transactions and managing assets. Wierstra has extensive investment banking, equity investment and asset management experience in the infrastructure, power, utilities, PPP and real estate sectors. 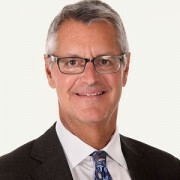 Prior to joining IFM Investors, Wierstra was a Managing Director at Macquarie Capital, where he was Head of Canadian Infrastructure and Sponsor Coverage. 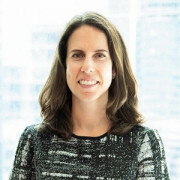 At Macquarie, Wierstra also served as Head of North American PPPs, with responsibility for PPP financial advisory, equity investment and development business in the US and Canada. 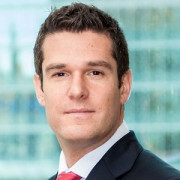 Prior to working at Macquarie Capital, Wierstra worked in investment management at Macquarie Infrastructure and Real Assets, where he had asset management responsibilities in the toll road sector. Wierstra represents IFM Investors as a Director on the Board of Colonial Pipeline and Global Container Terminals. 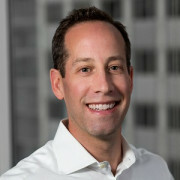 Steven Sonnenstein is a Managing Director at Digital Colony. Sonnenstein is an accomplished telecommunications infrastructure executive with over 20 years of global mergers and acquisitions, asset management and operations experience. 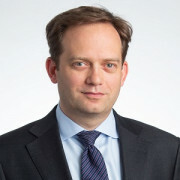 Sonnenstein was most recently a Senior Director at PSP Investments, one of Canada’s largest pension investment managers, where he created a telecommunications infrastructure asset class within the broader infrastructure group. Sonnenstein can be credited with completing PSP’s first direct investment in the telecommunications infrastructure space and was responsible for PSP Infrastructure’s inaugural direct investments in France, India, and Turkey. During his six years at PSP, Sonnenstein put in final bids worth more than C USD 7.5bn of equity, closing on more than C USD 2.2bn - predominantly in the telecom infrastructure sector - and co-led and asset managed over C USD 1bn of additional investments. 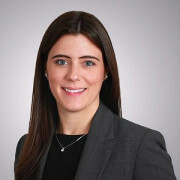 Before joining PSP, Sonnenstein worked for Brookfield Asset Management in its Private Equity and Infrastructure Groups with particular focus and experience in South America. 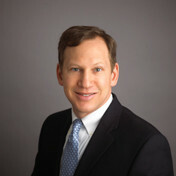 Prior to that, Sonnenstein spent several years working in mergers and acquisitions and distressed advisory. Dylan Foo is a Partner in the Global Infrastructure Fund (GIF) and also serves as Head of the Americas overseeing sourcing, execution and managing infrastructure investments across the region. Foo has successfully executed infrastructure transactions across the globe, and as a member of the Global IC, has overseen the deployment of over USD 3bn in equity investments across target sectors of transport, energy and communications. Foo has also served on the board of a number of Portfolio companies, including ITS ConGlobal, Angel Trains and Everstream Fiber. Santhosh Rao is Head of Telecommunications Americas. 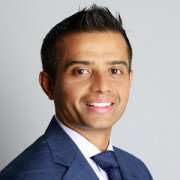 Rao joined Natixis in 2016; prior to Natixis, Santhosh was a Director within the Global Technology, Media and Telecom Investment Banking group at Deutsche Bank where he spent nine years covering a wide range of industries including Wireless Infrastructure, Enterprise Telecom and Pay TV / Cable. Rao has advised clients across a broad range of products including M&A, debt and equity financing, and private placements. Rao has more than 15 years of experience advising clients in the Telecom, Media and Technology sectors. L. Kevin Sheridan Jr. is co-lead of Mayer Brown’s Infrastructure Investment group and a member of the Corporate & Securities practice. Sheridan has more than 25 years of experience counselling corporations, investment funds and other financial investors on a diverse range of M&A, JV and other corporate matters, as well as on the formation and development of new investment vehicles and products. Sheridan’s M&A, joint venture and other corporate work includes deep experience on cross-border transactions, especially for clients based in Japan and Latin America. Sheridan represents companies in a wide variety of industries, including asset management, shipping, transportation, infrastructure, chemicals, agribusiness, mining, health care services and life sciences, among others. Sheridan’s work with private investment fund sponsors and financial institutions supports the asset management activates of these clients, including in the areas of fund formation, investment and new product development. Sheridan’s projects for these clients span a range of investment strategies, including credit, real estate, infrastructure and private equity. 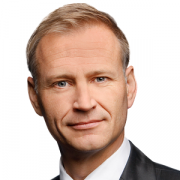 Hanno Schoklitsch is Chief Executive Officer and founder of Kaiserwetter Energy Asset Management. Schoklitsch is a civil engineer and specializes in the construction of hydro power stations, which gives him the basic understanding of energy assets. v started his career within real estate investment companies by e.g. heading the second biggest German open-ended real estate fund. Schoklitsch professional experience brought him to understand the potential of digitizing asset management. Utilizing smart data and the Internet of Things (IoT) is key to taking advantage of the digitization within the world of renewable energies. Since the creation of Kaiserwetter Energy Asset Management in 2012, Schoklitsch and his team have worked to develop its digital platform ARISTOTELES supporting investors and financing banks to maximize their returns while minimizing their investment risk. 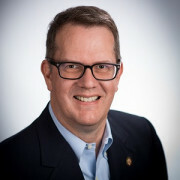 Buck Fletcher, Chief Financial Officer, is responsible for the management of the firm’s mergers and acquisitions, corporate finance and project finance activities. 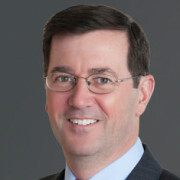 Prior to joining Onyx, Fletcher worked in the Mergers and Acquisitions Group at Blackstone Advisory Partners, where he focused on transactions in the renewable energy and communications sectors. Previously, Fletcher worked at Portfolio Advisors where he was a member of the secondary private equity investment team. Fletcher began his career as an analyst in the Global Power & Utilities Investment Banking Group at Banc of America Securities. Paul Astolfi is co-lead of Mayer Brown’s Project Finance and Infrastructure Investment groups and a member of its Oil & Gas group. Astolfi leads engagements in a wide variety of complex settings, including cross-border project finance, infrastructure development and finance, and acquisition and disposition of energy assets. Astolfi regularly represents major financial institutions, international strategic firms, and private equity funds. 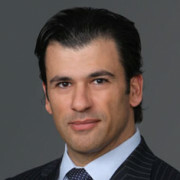 Before joining Mayer Brown, Astolfi sharpened his business skills as general counsel for Acciona Energy North America. 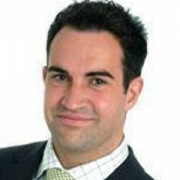 Prescott Johnson is a Director in the Global Energy Group at Credit Suisse where he has worked since 2010. At CS, Johnson focuses on the power, renewables and utility sectors. Johnson has a broad focus across the industry having led landmark M&A and capital markets transactions across the power space for corporate and Private Equity clients. Notable recent engagements include the sale of Wheelabrator for Energy Capital Partners, ArcLight and Blackstone’s acquisition and financing of Lightstone Generation and the Starwood acquisition financing of Edgewater Generation. Johnson began his career at the law firm of Williams & Connolly focused on complex commercial litigation. After a wide ranging 29 year executive career with Royal-Dutch Shell Jonathan Elton has a strong heritage of successful oil and gas and petro-chemical strategy and infrastructure development projects around the world. Elton most recently eliminated USD 5bn of historical liabilities and turned their annual UAD 500m cost into a USD 60m profit, which enabled the rehabilitation and disposal of 697 properties for economic development. Elton has led or been involved at a senior level in M&A projects worth more than USD 30bn and is currently empowering renewable energy, efficient water supply and improved infrastructure sustainability projects. 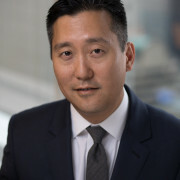 Ralph Cho is Co-Head of Power & Infrastructure at Investec in New York and is responsible for leading Investec’s North American energy banking and capital markets platform. Cho has over 20 years of experience in project finance focusing on independent power, renewable energy and other energy infrastructure. Cho is a capital markets professional with deep relationships across a variety of investor classes including commercial and investment banks, finance companies, ‘grey market’ lenders, life insurance companies and, most recently, Asian capital providers. Cho has a strong track record of successfully leading the syndication of complex transactions for over USD 50bn of loans for high profile sponsors including Ares-EIF, The Carlyle Group, Macquarie and Sunrun. Prior to Investec, Cho spent time at financial institutions: WestLB, Credit Suisse and Bear Stearns. Christopher Yonan, Managing Director and Co-head of Power, Utilities and Infrastructure at Jefferies LLC, has more than 17 years of investment banking and legal experience serving clients in the power, energy and infrastructure industries. Prior to joining Jefferies, Yonan was a Managing Director at Morgan Stanley where he led their power, energy and infrastructure financial sponsor coverage and leverage financings. Yonan’s previous roles include Director at Barclays, Vice President at Lehman Brothers and Associate at Milbank, Tweed, Hadley & McCloy. Alex Krolick is an experienced project financier who has spent the last fifteen years at the forefront of energy project finance arranging and advisory activities in EMEA and in the Americas. Krolick has broad responsibility for financing activity across the Americas for Macquarie Capital’s Infrastructure & Energy Group. Krolick has diverse experience structuring, raising and marketing non-recourse debt in the energy sectors. Krolick’s work for Macquarie Capital’s own account includes the USD 716m financing the 906MW Norte III power plant located in Mexico as well as the financings for the greenfield 200MW windfarm in Texas and the first-of-its-kind distributed battery storage portfolio. Previously, Krolick has advised Cheniere Energy in support of its Sabine Pass and Corpus Christi LNG liquefaction projects. The Corpus Christi project, at USD 11.5bn in debt, represents the largest single project finance debt raise from commercial banks. Krolick has also advised DE Shaw on the USD 300m financing of Deepwater Wind's Block Island Wind Farm. This project is the first offshore wind farm constructed in the Americas.